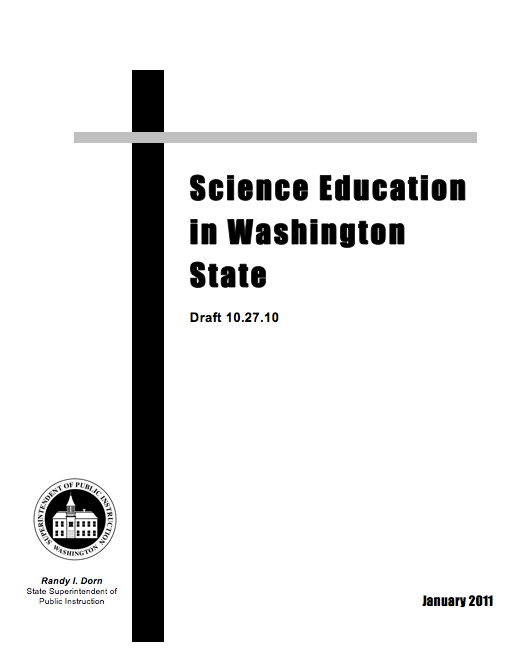 The Office of Superintendent of Public Instruction in Washington State just released a report titled- Science Education in Washington State. The report gives a pretty comprehensive look at the science education system in the state- from time spent teaching science, to instructional materials, policy, and assessment data. This report is probably more meaningful to folks in Washington State, but I’m interested in knowing if other states have created similar reports.